Polycystic ovary syndrome, or PCOS, is defined as the presence or growth of small cysts on the outer edges of the ovaries, and is a condition suffered by many women of reproductive age. This condition causes the ovaries to become enlarged, and can cause problems with menstrual cycles and make it difficult to get pregnant, as ovaries may fail to regularly release eggs. If left untreated it can result in the manifestation of other diseases, including diabetes and heart disease, and poses a serious health risk to a large segment of the female population, with over 200,000 reported cases in the U.S. every year. The cause of PCOS may involve a combination of both genetic and environmental factors, and symptoms can include excess hair growth, acne, and obesity, in addition to disruption of menstrual cycles. Many women with PCOS experience the growth of several cysts, but early detection, weight loss, and proper medical treatment by a qualified health professional can help control the symptoms of this syndrome and prevent long term health problems such as heart disease and type two diabetes. As excess weight can be a factor in the development of this syndrome, your OB/GYN may suggest you work with a registered dietician to develop an eating plan for greater health and wellness. An exercise regimen customized for your individual situation may also assist in weight loss, which can help ease the symptoms of PCOS and help prevent the development of diabetes. 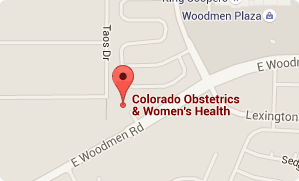 Here at Colorado Obstetrics and Women’s Health we provide you with the personalized, comprehensive care you deserve for all phases of your life, not just when you are carrying a child. We are dedicated to providing Colorado’s female population with complete healthcare for every age and condition. If you are looking for an OB/GYN specializing in PCOS, give us a call today at (719) 634-8800 to schedule an appointment with one of our friendly women’s health professionals. We look forward to helping you achieve your best health.